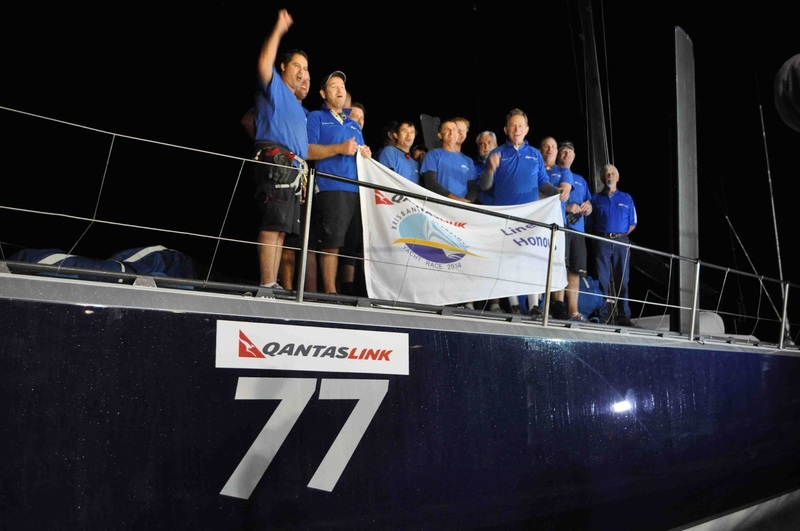 Peter Harburg's 70 footer, Black Jack has taken line honours in the 2014 QantasLink Brisbane to Gladstone Yacht Race finishing at 8:50pm on Saturday night with an elapsed time of 1 day 9 hours 50 minutes and 17 seconds. She crossed the line shortly after a fantastic firework display thanks to the Gladstone Harbour Festival, causing many of the spectators to remember the days that the first boat home was traditionally welcomed over the finish line in the same manner. 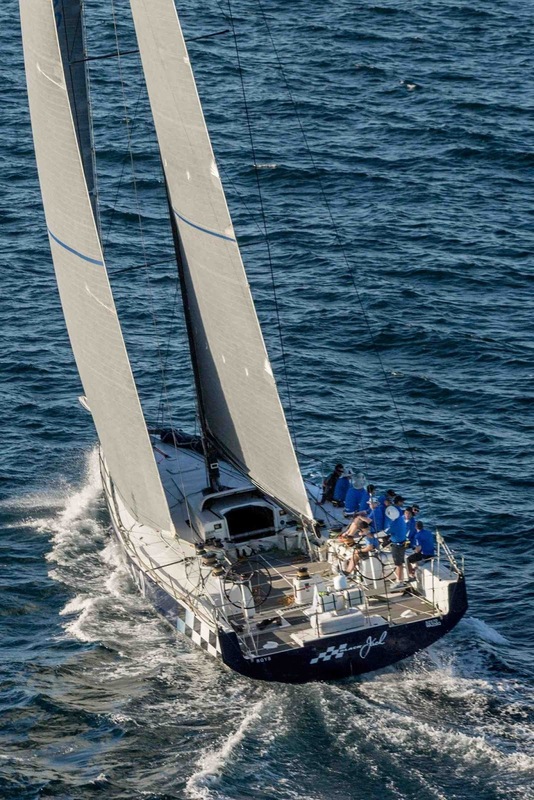 Because the fleet is so spread out, the crews of both Black Jack and Alive are in for a long wait until they find out if they are going to be the winners of the prestigious Courier Mail Cup which is awarded to the overall winner of the race on corrected time.